Why are BJP chief's "lackeys" crying wolf over Imran Khan's overtures of building bridges with India? Pakistan's election results have finally come. According to the Election Commission of Pakistan, Imran Khan-led Pakistan Tehreek-i- Insaf Party (PTI) has won 115 seats in the 270 member national assembly, which means that party would need independent MNAs to come to power. The problems of PTI party are further aggravated with many candidates contesting more than one seat. Imran Khan himself contested extraordinarily from five constituencies of Lahore, Karachi, Islamabad, Bannu and Mianwali and won all of them, which means he will have to resign from rest of the four seats. In the fragile political atmosphere it is difficult to win all of them again for someone else. The elections this year was marred with violence and allegation of mass scale rigging. In fact, many in the Pakistan media have said that the Election Commission of Pakistan must resign for its gross failure in managing the elections efficiently. Widespread irregularities have been reported in the media, and the results came too slow. There was no coherent coordination, which is needed for run an election on such a large scale. Imran Khan, the flamboyant captain of yesteryears, dreamt of leading his country long back. There was no doubt about his popularity in "Pakistan. He was the greatest leader of his country on the cricket field, whose quality was to inspire and encourage a whole lot of young superfast bowlers like Wasim Akram. Imran Khan has already addressed media after PTI became the single largest party in the elections. He put India on priority number three, and talked about peace. Fair enough, he has to work in close coordination with the Pakistan establishment, which is the army. He can’t have an independent policy without getting well with the army chief. But to be fair to him, he did well to talk of peace. Imran Khan can do what others could not. The reason for that is in his maturity as a leader and his understanding. Though to become popular, he had to turn 'right', which frankly speaking he never was, but then politics can force you to do all kind of juggles that you might not believe in person. His third marriage was basically meant to address the religious sentiments of the people. The irony of politics is that social reforms and politics normally don't go together. 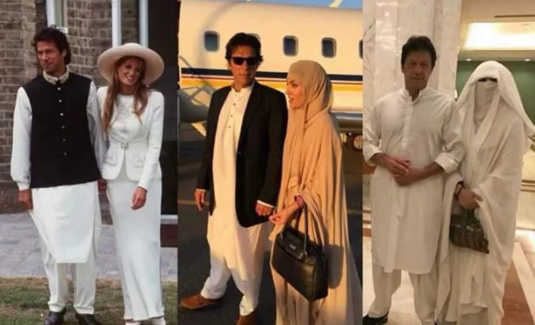 With likes of Jamima and Rehams, Imran would not have got the support of the masses, who always considered him Anglican, but thanks God, he was not blamed a Zionist agent by the opponents when married to Jamima. The results show that his party got huge mandate in the North West Frontier Province, a region, which is still run on rabid religious laws and practices. It is surprising how the Indian lackeys of BJP chief Amit Shah are crying wolf over Imran Khan's overtures of building bridges with India. What is wrong when he says that he want to resolve all the issues? After all, he is going to the prime minister and must reflect his priorities. Should he say, he does not want to negotiate with a communal Hindu government in India? Times Now made loud noises like 80,000 soldiers have been killed in conflict with Pakistan, and therefore we must not speak to them. Who cares if you don't speak Rahul Shiva Shankar or Arnab Goswami? If this government has put them to do this campaign, then it’s fine, they can carry on, which will ultimately fail the Government of India. If the government is so determined to break everything with Pakistan then it must close the High Commission and ask the Pakistani High Commissioner to leave Delhi. It can’t do the all these nonsense. These anchors are being paid to destroy the serenity and atmosphere in the air right from Kashmir to South Asia. The idiotic lumpens, as I would like to call them, have no understanding of geopolitical situation in South Asia. Pakistan is not begging to you as China has already reached everywhere right from Pakistan to Nepal, Sri Lanka and Maldives. The only option this Brahminical elite in India want is to surrender to Donald Trump, against whom Americans are themselves rising in protest. A secular democratic Pakistan is in the best interest of India. Obviously, you can’t expect Imran Khan, the leader of his country, to please India’s sentiments. He will do it for his own country. The politics in our countries is based on rhetoric. When Modi and Shah will use Pakistan as a bogey to divide the nation during the elections, we can think of the same in Pakistan, but the great thing is that all those fund collectors in the name of Jihad have been mercilessly defeated by Pakistan people. However, it also needs to be seen that they may not be out for ever neither we can say that all the politicians who have won have absolutely liberal outlook. Imran Khan has to be given time. We all know that all the prime ministers in Pakistan will have to work together with the army. That is not new. Nawaz Sharif too was doing that. When he tried independently and became more powerful, Musharraf threw him away. That is the tragedy of that country. Both in India and Pakistan, peace talks are only possible through non-political actors, who are not seeking 'blessings' of the people in elections where 'nationalism' and 'jingoism' of high decibel sale. It is these peaceniks, who are important both in India and Pakistan, who will ultimately protect us. To call all of them as anti-national by the dalals is dangerous, to say the least. IThe leader of Indian nation must rise above the narrow confines and show magnanimity. If these dalals in the media paid by their Marwadi bosses want to set the agenda for next elections of creating the favorite Hindu-Muslim through an India-Pakistan binary, then India must defeat them. I hope India will. The government formation process in Pakistan is their internal matter. It will be tedious, and Imran Khan’s skills will be tested, but I am sure, if he becomes leader of his country, he will have enormous good will and with his liberal outlook he can take bold decisions and initiatives for building up a long term stable relationship with India. There is a reality too that Indian concern too need to be addressed particularly controlling those elements who can only spit venom against India at all the time, very much like our owns. We stand with peace between India and Pakistan. It is important because if it happen then our defence expenditure will reduce and we will invest more in our anti-poverty programme. We can’t make the defence companies of cronies 'successful' by continuously chanting war mantras. War has never been decisive, it will only bring destruction and depression. Peace has greater dividend. It will bring prosperity and happiness everywhere. War-mongers are hate mongers and must be defeated at all level.